Expedition Education Modules (EEM) are designed to assist educators with bringing expeditions and discoveries of NOAA Ship Okeanos Explorer into classrooms in real time using live video from the remotely operated vehicle, Deep Discoverer. 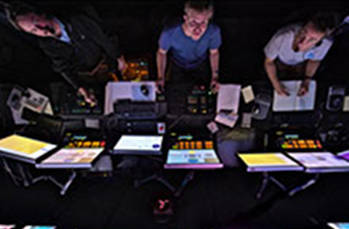 To support use of the live video feeds and enable educators to design their own instructional strategies for classrooms around particular expeditions as they are happening, we have compiled within this EEM lesson plans, multimedia tools, and a wealth of other resources developed just for educators to convey the deep-sea exploration strategies and discoveries at locations all over the world. 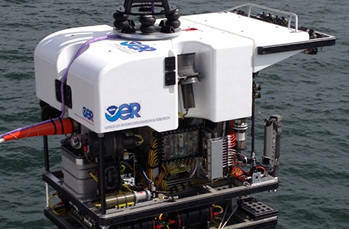 You might choose to dive deeply into the Expedition Purpose and learn more about why NOAA and its partners are exploring a particular deep-ocean area, what advanced technologies are being used and what explorers are hoping to find. You might also be looking for ocean explorers to help your students more fully understand what skills and expertise are required for the Science Team on a certain expedition. You just might need a short video clip or images to complete your lesson unit on a particular topic related to the Okeanos Explorer expedition that you are following. Whatever your NOAA deep-ocean exploration education needs are, we hope that you will find them all met here in the Expedition Education Module. 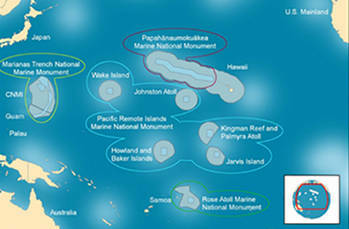 The focus of the Hohono Moana: Exploring the Deep Waters off Hawaiʻi Expedition is to acquire baseline information in deep-water areas in and around the Northwestern Hawaiian Islands to support science and management needs for the marine national monuments and national marine sanctuaries found there, including information relevant to emerging regional issues like the U.S. Extended Continental Shelf and deep-sea mining. In the coming months, we expect to explore several seamount groups, rift zone ridges, drowned reef terraces, pinnacles, deep-sea coral and sponge communities, manganese crust habitats, an enigmatic crater, a submarine canyon, and a sunken submarine. We hope that you will use the education resources provided here, including the Exploring Live lesson, to get your students closer to the deep ocean than they have ever been before. Why Are Scientists Exploring the Areas In and Around the Hawaiian Island Marine Monuments and National Marine Sanctuaries?